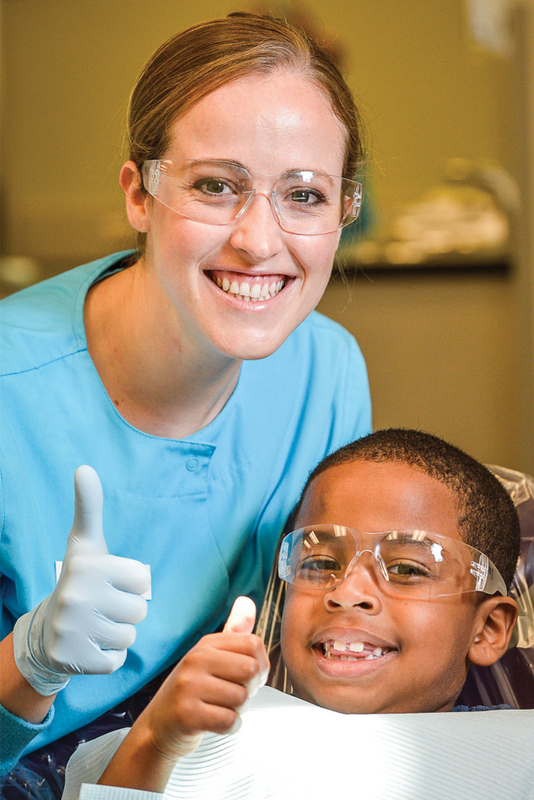 The Dental Hygiene Associate in Science (A.S.) degree program at Valencia College is a two-year program that prepares you to go directly into a specialized career as a dental hygienist. As a dental hygienist you will work as part of a dental team in examining patients for signs of oral disease and providing preventative dental care. In addition to cleanings and X-rays, hygienists also administer sedation, assist with root canals, apply fluoride and sealants, and educate patients on ways to improve and maintain good oral health. Valencia’s dental hygiene program prepares you to become licensed as a primary oral health care professional and is dedicated to helping you develop the specific skills you need to ensure that the highest quality of dental care is provided for patients. Dental Hygiene is a limited-access program. For admission requirements and updates, program application and deadlines, visit the Health Sciences Division website. Have questions, or want more information? Review course descriptions, important dates and deadlines and other programs details in the official college catalog. Technical College Programs – Receive college credit toward this program for completing an approved Orange Technical College or Osceola Technical College program. You want to step up. We have a path to a bachelor's. Prepare for a supervisory or management role in your field with a Bachelor of Applied Science degree in Business and Organizational Leadership. After completing your A.S. degree, build on your skills and expand your career opportunities by continuing your education at Valencia College and earning a bachelor’s degree. We encourage you to meet with a career program advisor to create your personalized education plan. Challenging career opportunities are available mainly in private dental offices. Work is also available in public health agencies, school systems, hospitals and clinics. Employment of dental hygienists is projected to grow much faster than the average for all occupations. Ongoing research linking oral health to general health will continue to spur demand for preventative dental services, which are often provided by dental hygienists. The average placement rate for Valencia College’s A.S. degree and certificate programs ranges between 90 – 95% according to the latest FETPIP data. Visit Career Coach to explore careers, salaries, job demand and related degrees. Attend a Program Information Session. Please bring a copy of the program guide for your desired track with you. If you are not local and cannot attend the information session, review the program guide and read the Frequently Asked Questions. Complete required general education courses before applying to the program. Once your transcripts have been received and evaluated, and if you meet eligibility requirements, you can apply to the program. To learn more about this program, including application requirements, attend one of our information sessions. Please bring a copy of the program guide with you. If you are unable to attend, refer to the program guide and the resources available at Health Sciences.